Customers choosing to participate in the digital coupons are required to have an active online account with a valid, associate shopper card. Kroger employees or partners are prohibited to set up or otherwise maintain an online account not specifically associated to that employee or employee household. Please note: Living Rich With Coupons is not associated with Kroger. 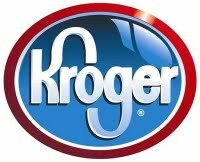 The policy stated on the Kroger official page is the correct and current policy and should be followed. This page is for information purposes only and while we try to keep it as update to date as possible, there are times when Kroger has made small changes to the policy that we have not adjusted here.